The wall charger not only charges your devices via AC outlet, but also offer you an on-the-go way to charge your handset. Nice idea? Let’s go on checking TYLT’s Energi 2K wall charger with backup battery. The Energi 2K is a multi functional wall charger that measures 2-1/8 x 2-7/9 x 15/16 inches. As shown in the images, the wall charger sports a stylish and portable design, and its fold-away prongs let you easily put the wall charger in your bag for a trip. 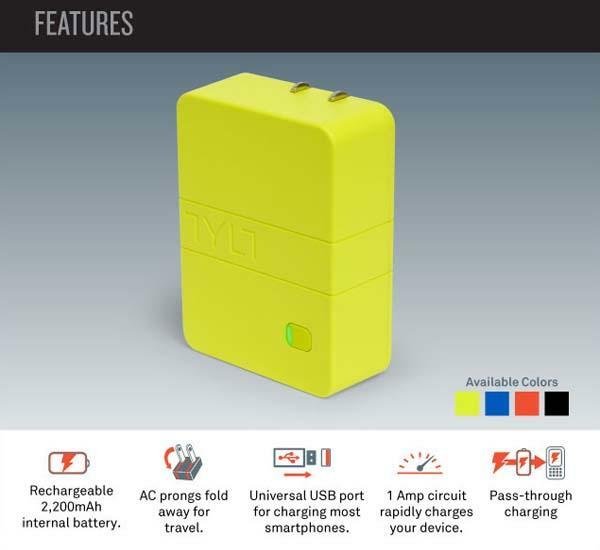 Moreover, the wall charger also 1 Amp circuit in order to rapidly charge your smartphone, and Energi 2K also features a built-in 2000mAh backup battery that makes it perfectly double as a travel charger to feed up your smartphone on the go, while its LED indicator detailedly shows you the status of integrated battery pack. 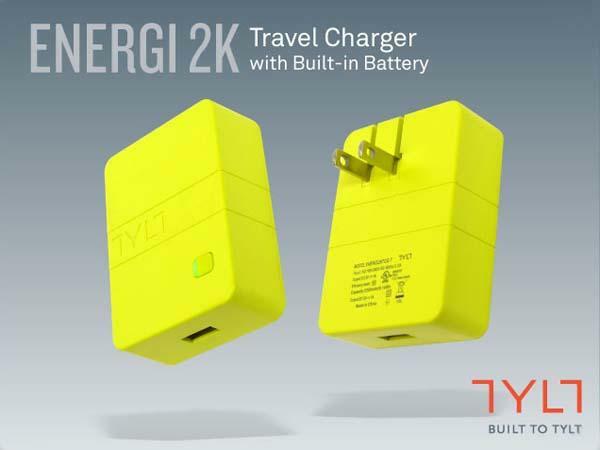 At present TYLT is earning influence and raising fund for Energi 2K at Kickstarter. Pledging $20 will let you own the wall charger with backup battery. If you need it, jump to Kickstarter official site for more details or take a look at the following demo video first.